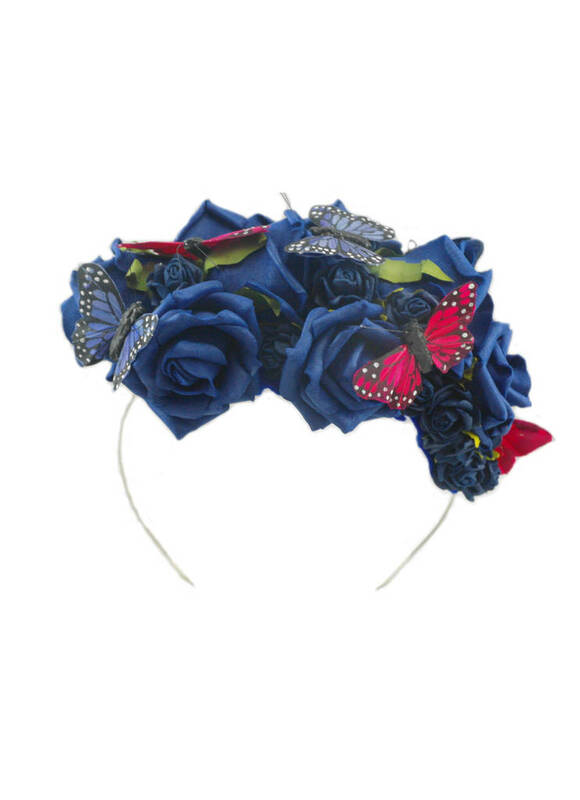 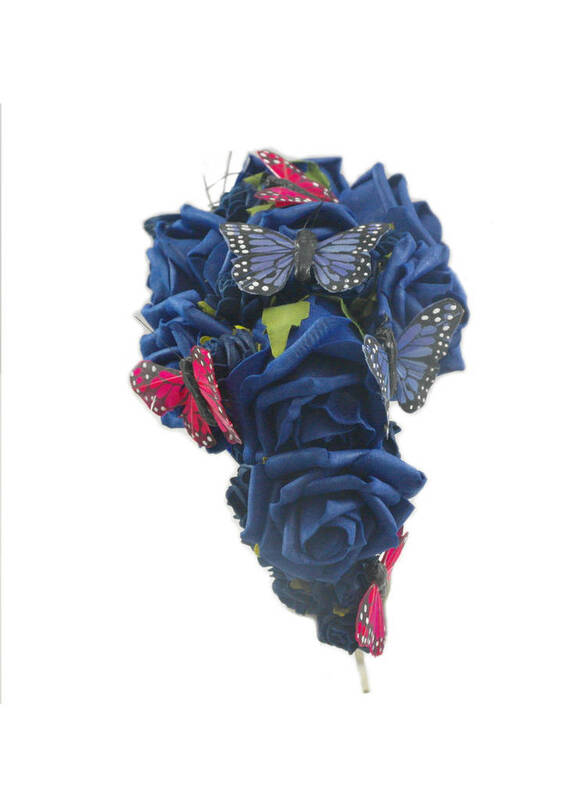 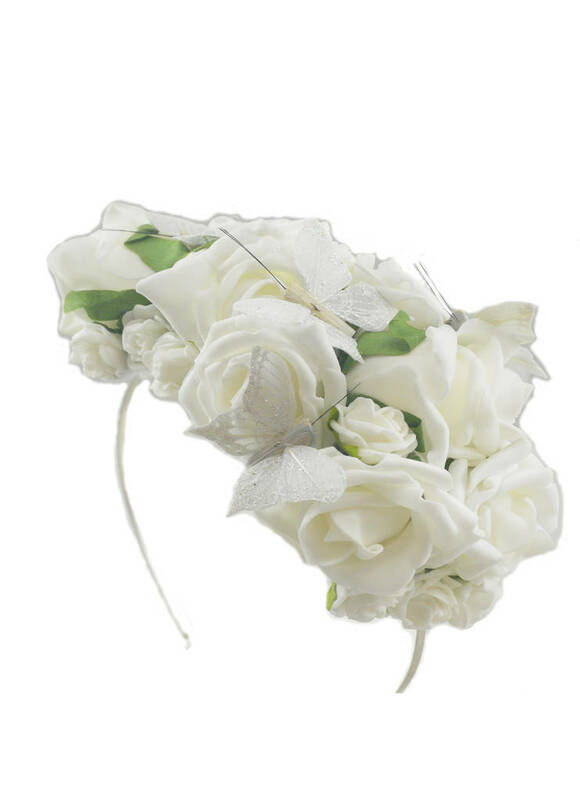 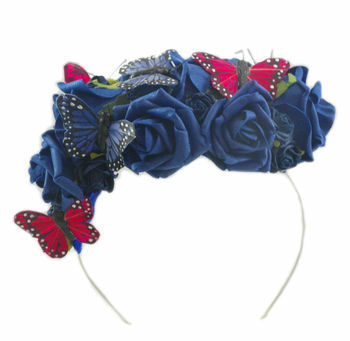 The Harper Crown is made from a silvertone crown headband, adorned with luxury colourfast foam roses and hand painted feather butterflies. 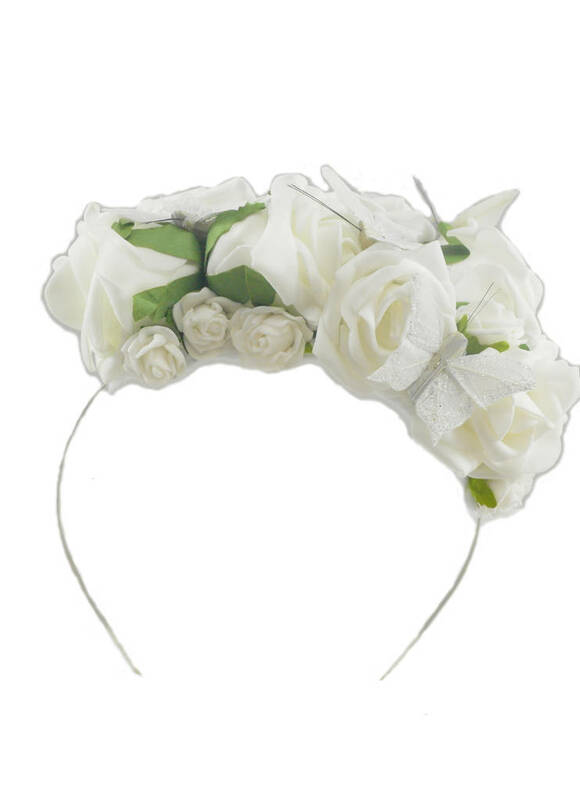 Each Harper Crown is backed with the softest felt for extra comfort. 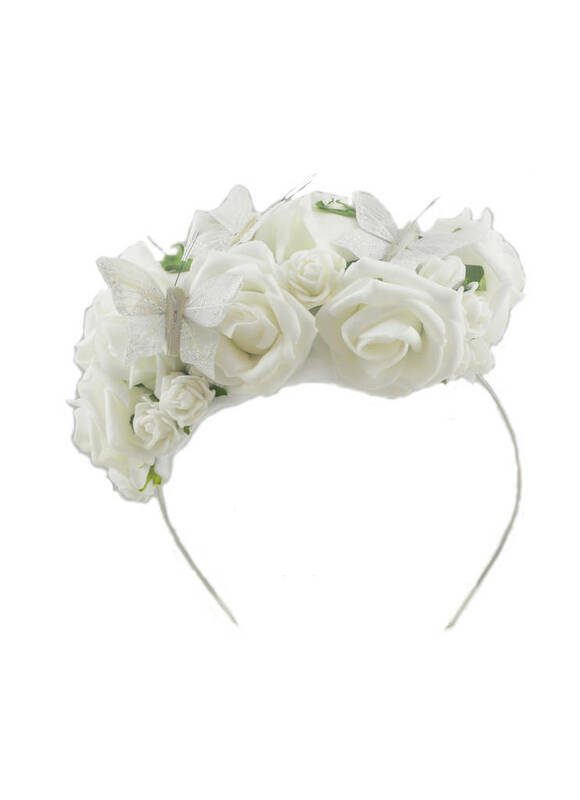 Harper is the perfect piece to wear to the races, christenings and weddings. This product is dispatched to you by Stephanieverafter.